Sunset views of an alternative nature here. Blame it on the number of high-rise apartment blocks that have gone up in the area. Once upon a time, even while working, I had a great view of the sunset. 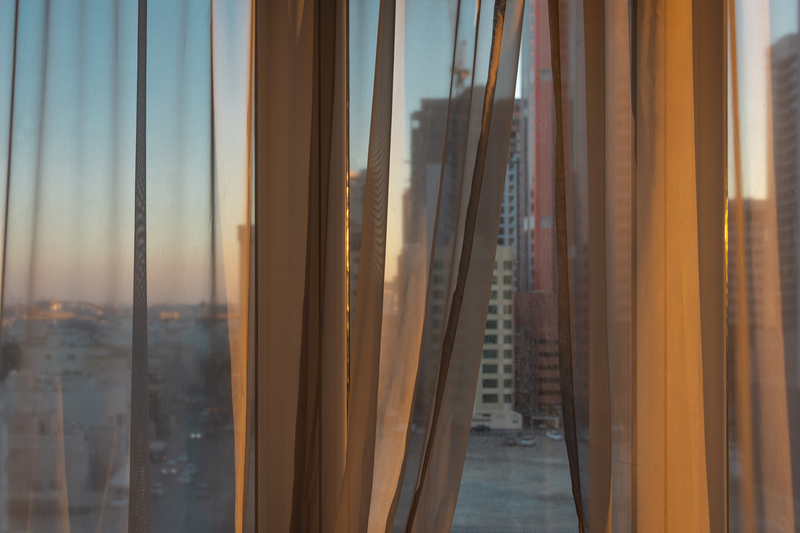 (And the sunsets in Bahrain are not to be missed.) But then one apartment block after another went up. And right now all I get is a glimpse of that golden light before it sets.